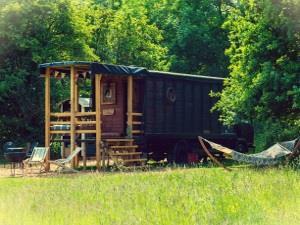 Secret Meadows01394 382992work GlampingEnjoy an inspired country holiday at Secret Meadows, away from it all. Ideal for family holidays or romantic breaks for couples, Secret Meadows luxury camping provides boutique-style, off-grid creature comforts combined with the magic of staying close to Nature. Enjoy an inspired country holiday at Secret Meadows, away from it all. Ideal for family holidays or romantic breaks for couples, Secret Meadows luxury camping provides boutique-style, off-grid creature comforts combined with the magic of staying close to Nature. Situated at White House Farm, in rural Suffolk, there are 115-acres of meadows and woodland, unchanged for generations. At night, you can enjoy the delights of a camp fire, admire the beautiful displays of stars on clear evenings and by day experience a slow pace of life in inspiring surroundings. We now accept dogs (but only outside of school holidays).